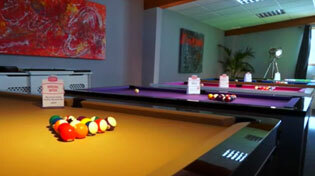 Home Leisure Direct carries a great range of Cuetec American Pool cues. In stock now for free delivery to the UK. Cuetec American pool cues have been providing some of the best American pool equipment available for three decades and use a patented process to create cues that are extremely damage-resistant and easy to maintain, yet never warp and offer professional quality and playability at affordable prices. Visit our showrooms to see the range of Cuetec cues we currently have in stock. You can try each of them out for yourself, and ask our experienced staff anything you need to point you in the right direction of your perfect cue.